The Nikon D750 optional battery grip MB-D16 provides a vertical grip and duplicate controls to make handling the camera easier. Controls include the shutter release, a multi-selector/directional pad, and main and sub-command dials as well as an AE/AF lock button. The Multi Power Battery Pack provides an additional way to power the camera. It accepts one EN-EL15 battery (the same type used in the D750 camera body) or uses a battery holder that accepts six AA batteries (1.5V LR-6 Alkaline, FR6 Lithium, HR6 Ni-MH and ZR6 Ni-Mn). Batteries not included. 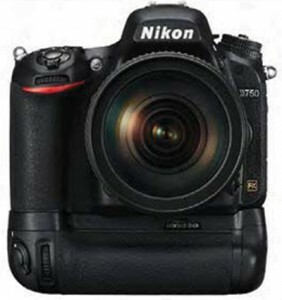 The D750 battery grip features full weather sealing to prevent dust and moisture from entering the camera. It also has a magnesium alloy construction for durability. Does the MB-D16 speed up the frame rate? If so by how many frames per second? 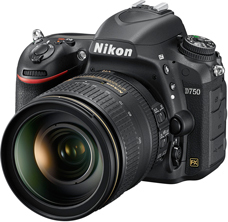 The MB-D16 does not increase the frame rate of the D750 which is maximum 6.5 fps. When will this be shipping to the US? It’s been back-ordered since before placing my order Oct 1, 2014. Today is Nov 4, 2014.